FOR SALE= Here's my project that I can't finish because of bad health(1/3 of my heart is dead & I have a bad back)along with other medical problems. 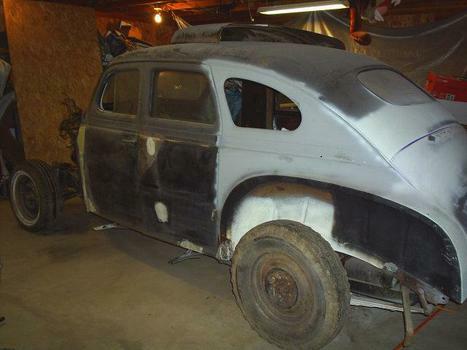 '41 Plymouth 4dr sdn,suicide doors, 318ci.4brl,auto, car is 98% complete (only missing a few moldings),not a rust bucket(stored inside most of its life). 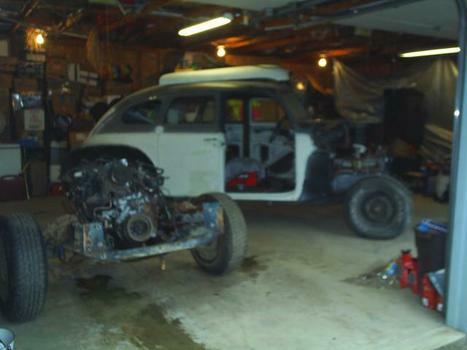 I have stock steering column, seats, suspension, good glass, 16"wheels. PLUS the parts from a police optioned '85 Dodge Diplomat(K-member with disc brakes, steering column, seats, rear with springs. Dash has 12v gauges installed that look almost like stock from a Dodge p/u & is painted Plum Crazy Purple. 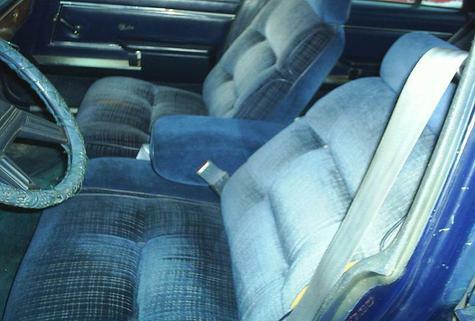 Front seats out of '85 Dodge Diplomat that I was planning on installing in the car. Plus I do have the original seats. How do i get ahold of you privately using email Rick, Im not really sure if i can swing this but would speak with you and money being what it is, long distance isint something i want to explain to my wife AGAIN! lol.. I don't have to mention economy and money so i wont swear... ;) And i truly pray you will feel better, my health bad also, so i do know what your saying here man! Ron..